Ahead of the election, both opposition party website hacked. Is hacker is more powerful than a Politician? How anyone can easily have hacked the official website of BJP as well as Congress. Hacking the party’s website is a serious issue. Objectionable cartoon of Congress leader Rahul Gandhi and Sonia Gandhi were also uploaded. Congress spokesman Manish Doshi said “Some miscreant BJP elements hacked our website today. As soon as this came to our knowledge, we removed all the derogatory content. We are taking appropriate legal action.” Congress website hacker is still not identified. Chhattisgarh BJP website hacker group identified itself as ‘hacked by Faisal 1337’. “We are team Pak Cyber attackers. Don’t ever think about Kashmir. And if you try harder……. we are ready to give you counterblast in the battlefield any time in every aspect…. So pleas being a neighbouring country………”, the hacker left the message on the site and further added, “It’s just the beginning". FIR has been registered after the complaint was lodged by the BJP leader. The investigation has begun. Initially, the case is being handled by the cyber cell wing of the state police”, said Rahul Tiwari, SHO, Maudhapara police station. 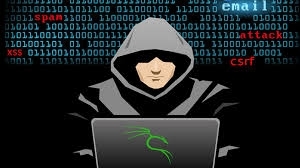 During the last 3-4 years, the Pakistan-based cyber hackers had targeted the portals of the Chhattisgarh police and around two dozen other websites of the state government, defaced many sites then and attempted to defile the data of their respective servers.